Two people were injured when a car crashed in Springfield, N.J., Wednesday night. 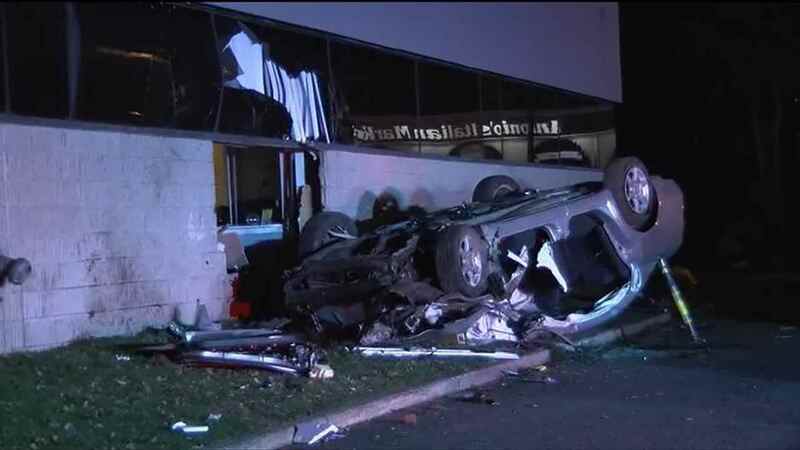 SPRINGFIELD, New Jersey (WABC) -- Two people were injured when a car crashed into the side of a Springfield office building Wednesday night. The driver lost control and his vehicle left the roadway, overturned, and crashed into the side of a building at Morris Avenue and Springfield Avenue just before midnight. It was not immediately known why the driver lost control and crashed into the side of the building. Both victims were taken to University Hospital in Newark. The 29-year-old man who was driving sustained head injuries. He was airlifted and is in critical condition. A female passenger, 26, sustained minor injuries, and was treated and released. The vehicle was not hit and did not strike anything in the roadway prior to the accident.